Protecting crop plants from pests and diseases has become crucial not only for unlocking the full potential of modern crop varieties, but also for ensuring the highest possible quality of harvested products. While farmers use a variety of different measures to prevent infections and control plant diseases, chemical plant protection plays a major role. Unlike many other active ingredients found in fungicides, epoxiconazole (EPX) offers protection against a wide palette of fungal diseases such as septoria tritici, septoria nodorum and yellow and brown rusts. EPX is used extensively in German agriculture. Today, 45% of all fungicide treatments in wheat and 28% of all fungicide treatments in barley are based on EPX applications. The approval of EPX for use in the EU will expire in April 2019. 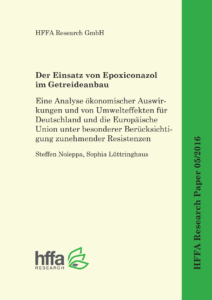 HFFA Research Paper 2016/05, written by Steffen Noleppa and Sophia Lüttringhaus (both HFFA Research), takes a closer look at this active ingredient as well as the economic and environmental consequences of its potential ban. 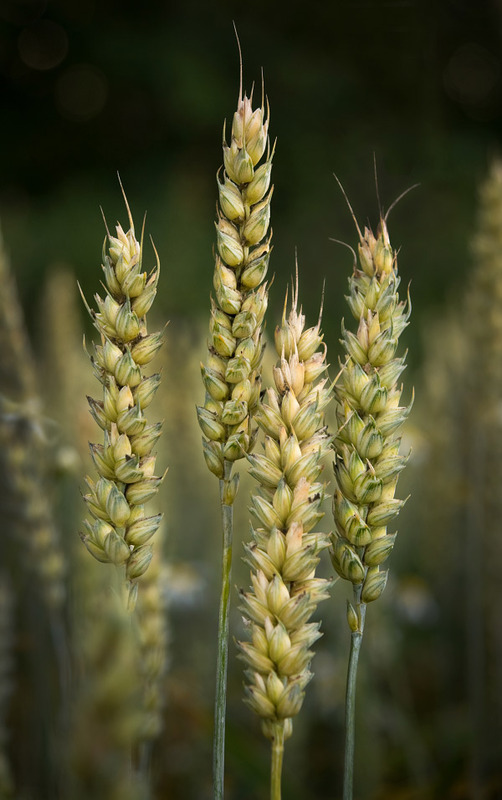 The authors conclude that chemical plant protection based on EPX generates yield increases of 2.31% in wheat and of 1.86% in barley, compared to chemical plant protection based on other fungicides as their active ingredient. Accordingly, the employment of EPX increases German grain yields by 260 000 tons of wheat and by almost 55 000 tons for barley. Based on these numbers, the authors calculate that the loss of EPX would lead to GDP losses of about EUR 217 million. The results above are considered short-term effects. Mid-term effects of a potential ban on EPX, and the resulting increased usage of other fungicides, include increased resistances of harmful fungi. In Germany, the yield decrease attributed to resistances is estimated to be 8 percent for wheat and 8.3 percent for barley, which amounts to 900,000 tons of wheat and 242,000 tons of barley missing from production. Apart from significant impacts on the agricultural sector, the authors also point out the environmental consequences of removing an important active ingredient such as EPX from the market. For example, calculations in the study show that the yield reductions following an EPX ban would cause additional CO2 emissions of over 90 million tons in Germany alone. In light of the pending re-authorization of EPX in the EU in April 2019, this study calls for a more holistic assessment of the potential risks, but also of the societal and economic benefits offered by the continued use of EPX in plant protection.